The sixth edition of the ICC Women's World T20 has gotten off to an eventful start with Harmanpreet Kaur and Deandra Dottin putting in stellar performances for their sides. However, things haven't been the same for all. The weather hasn't been kind at St. Lucia and the four teams to feature today will hope the rain gods show some mercy. After the washout against Sri Lanka in the opener, England will be eager to get their World T20 underway against Bangladesh on Monday. The 50-over World Cup winners were dealt an early blow before the start of the tournament with Katherine Brunt being ruled out of the tournament. The pacer experienced a flare-up of an existing back injury during a warm-up match against India, and Fran Wilson was called in as her replacement. The Heather Knight-led side enjoys a formidable batting line-up with Danielle Wyatt, Tammy Beaumont, and all-rounder Natalie Sciver – all capable of taking the game away from the opposition. The likes of Jenny Gunn, Anya Shrubsole and Danielle Hazell make up for an experienced bowling arsenal with left-arm spinner Sophie Ecclestone also in the mix. Their opposition, Bangladesh, did not have a great outing in their opening fixture against defending champions Windies. Their bowlers put in an impressive performance by restricting the hosts to just 106/8 but were let down by their batters as they were bundled out for 46. Seamer Jahanara Alam finished with 3/23 and was well-supported by leg-spinner Rumana Ahmed, who claimed a couple of wickets in the game. If the batting department can produce a decent performance, they can hope for good things from the game despite England being the stronger side on paper. Sri Lanka will be eager to boost their chances of making the semi-finals with a victory over South Africa in their second encounter of the Women’s World T20 on Monday. Chamari Athapaththu’s side will look to capitalize on the poor form shown by the Proteas batting lineup in the warm-up games prior to the tournament. Dane van Niekerk’s side was below-par in their two warm-up games, scoring 72/9 in 15.1 overs against Pakistan and 79/9 against Australia in response to a 131-run target. 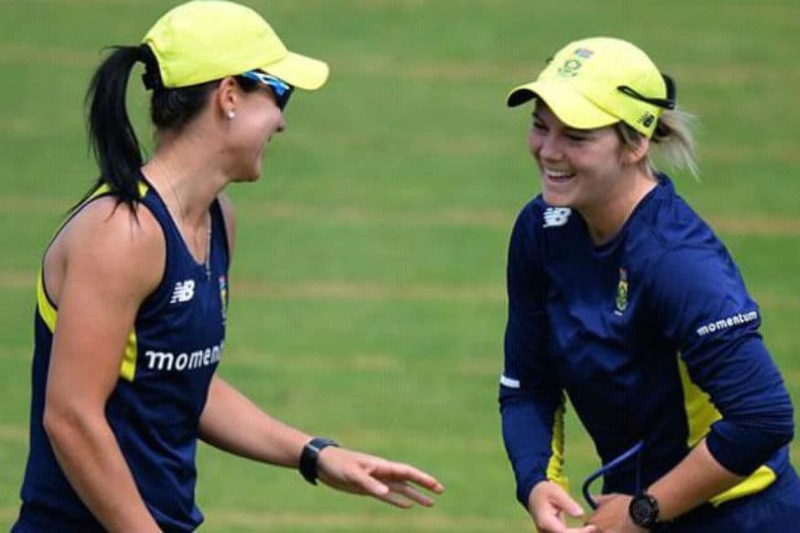 Despite their poor outing so far, the Proteas will be looking towards Lizelle Lee, Chloe Tryon, Laura Wolvaardt and the captain to score big runs. While the bowling line-up of Shabnim Ismail, Marizanne Kapp and Tumi Sekhukhune will want to keep the Lankans in check. Sri Lanka fared only slightly better than South Africa in the warm-ups, getting bowled out for 98 by New Zealand and 85 by Ireland in their two matches. While their bowling has been decent, it is the batters who have failed to deliver in the Caribbean so far. The onus will be on the top order and their all-rounders, mainly Shashikala Siriwardena and Nilakshi de Silva, to come good in the crucial clash.